Roast beef comes in three rounds: bottom, top and eye of round. The eye of round roast is the most tender of the three. One method of cooking the eye of round is to use a crock pot. 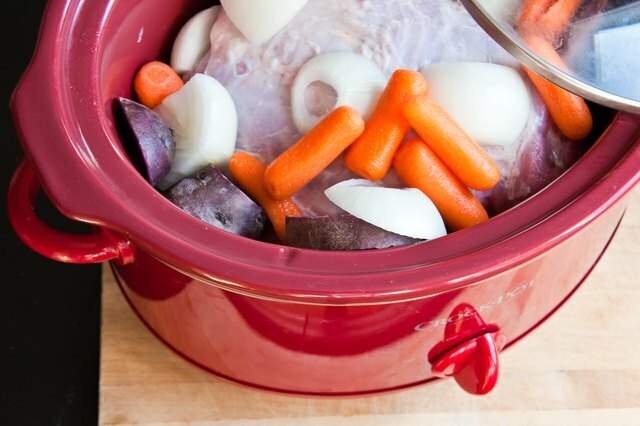 The slow cooker will keep the juices in the eye of round roast as well as allow you to cook the vegetables along with the roast. 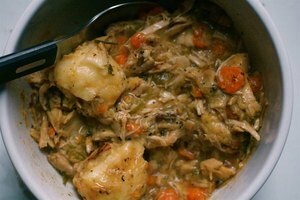 You can set the slow cooker up in the morning and then just remove and serve the food at dinner time. Pour one cup of beef broth in the slow cooker and then add a 10-ounce can of cream of mushroom soup. Fill the empty can of cream of mushroom soup with water and add it to the slow cooker. Next, pour in half a packet of onion soup mix and combine with a wooden spoon. Chop up five cloves of garlic and add them to the mixture. Place your eye of round roast in the slow cooker and then cover it with a lid. Turn the slow cooker on to low and cook for eight hours. Optional: Throw in two cups of chopped potatoes, one cup of celery and one cup of carrots so that your vegetables are ready at the same time as your roast. Italian dressing tastes great when cooked on beef. That is why it is often used as a marinade. 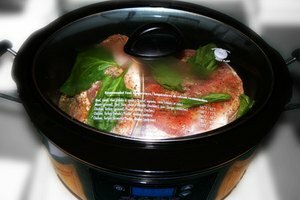 Squirt half of a large bottle of Italian dressing in your slow cooker and then add the eye of round roast. Cover the top and sides of the roast with the other half of the bottle of Italian dressing. Turn your slow cooker to low and cook for eight hours. Pour 10 ounces of cream of celery soup into your slow cooker. Then fill the empty can up with water and pour it in. Next, add 1/2 tsp. of basil, 1/2 tsp. of salt and 1/2 tsp. of pepper. Pour in two teaspoons of Worcestershire sauce. Mix up your ingredients with a wooden spoon. Put your eye of round roast in the slow cooker. Cut up two carrots and three potatoes and throw them in to the slow cooker. Then add one 8-ounce can of mushrooms (drain the liquid out first). 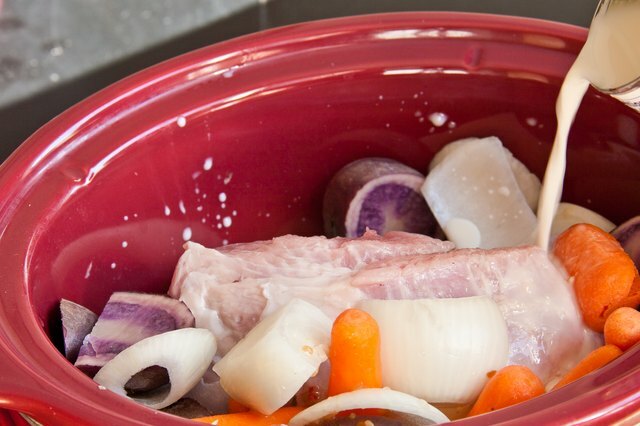 Place the lid on your slow cooker and cook on low for eight hours. Optional: Instead of adding the water, use red wine.